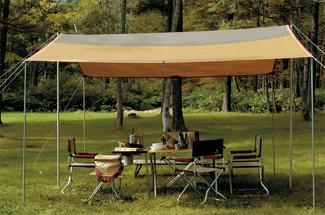 Heavy duty tarp that creates a large shade/shelter area to cover tents or for a sheltered communal dining area. Complete with poles, guy ropes, pegs and mallet. Approx Size = 3.6m x 3.6m.